So is pregnancy following infertility the same as it is if you conceived easily? For some perhaps but I think for the majority of us that have been through years of investigations, treatment cycles and perhaps miscarriages, pregnancy can bring with it it’s own set of challenges. Yes you have reached your much longed for goal but may feel more anxious about pregnancy than if you conceived straight away and have more fears regarding loosing the pregnancy. The research I am doing also indicates that if someone has suffered from infertility getting that BFP (big fat positive in forum lingo) does not wipe out all of the months/years of worry and upset. 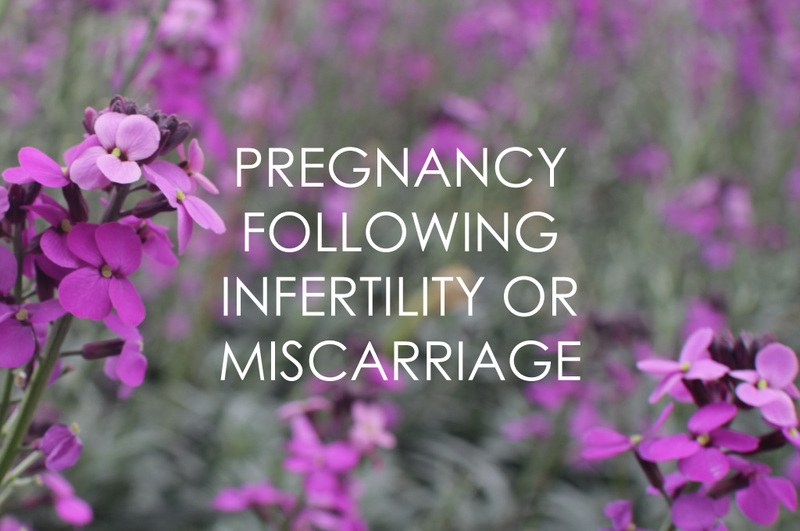 This has also become evident with the Embrace Fertility members that contact me once they are pregnant, it is completely normal to feel anxious, surreal and concerned about getting to the 12 week mark. The first few weeks of pregnancy are usually the most difficult when you are not supposed to share your news with family and friends but need support and advice. Even if you do decide to share it can be difficult for someone to understand why you are not completely overjoyed and this can lead to feeling guilty that you are not dancing down the streets. If you are pregnant following infertility or miscarriage I invite you to join our Mindful Pregnancy support group alongside the main Embrace Fertility community. Both are free secret Facebook groups no one can see that you are a member or access the pages without an invitation. PS You might be feeling wonderful and just want to share your good news rather than needing support that is fine too! The Mindful Pregnancy group is a safe space in which you can voice how you are feeling and receive support and advice from others who will completely understand where you are coming from. (In the main group we invite people to share their pregnancy announcements alongside their story to offer hope and inspiration to the rest of the group but ask that you use the pregnancy page for discussing your pregnancy and asking for support.) You are welcome to join no matter what stage of pregnancy you are at, from the first day you get your positive result all the way through to birth and motherhood. To join sign up here. I also offer an online confident pregnancy and birth of course check out all the information here. The first week is free and you can start listening to the MP3s as soon as you like in your pregnancy.